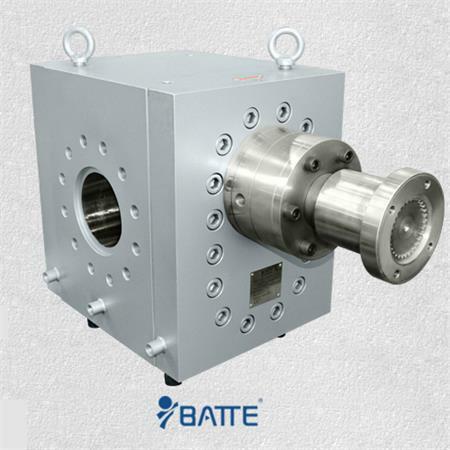 The high temperature melt pump is essential the polyester melt conveying, pressurization and melt metering equipment. The high temperature gear pump that melt pump structure than other types of compact, reliable operation, low energy consumption, high volumetric efficiency, the shearing of the melt is small, stable in hyperviscosity high pressure flow, outlet pressure fluctuations. The pump has a unique advantage and a key role in the process, so that it plays an irreplaceable role in the polyester production. The high temperature melt pump are widely used in plastics, resins, rubber and chemical products extrusion. Such as: granulation, film, pipe, plate, sheet, synthetic fibers, fiber optics, medical plastic catheters and other industries.